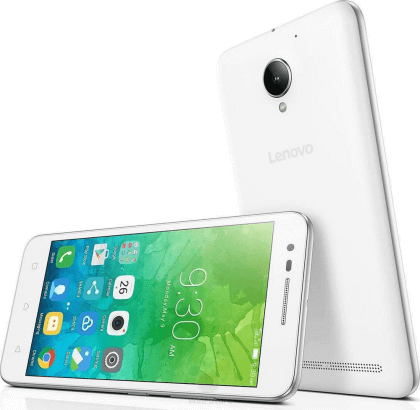 Lenovo quietly unveils the Vibe C2, but is it this year’s Moto E? There were a few rumors regarding the Vibe C2 before Lenovo quietly unveiled the budget phone on July 12, so let’s take a look back at all the gossip. We knew that the Vibe C2 would be Lenovo’s follow-up to the original Vibe C, but we still do not know if the phone will end up being the Moto E for the rest of the world. The company recently unveiled the Vibe C, a $105 budget Android phone that launched in Croatia and will gradually roll out to a few other territories. We’re now seeing leaks about a second version — the Vibe C2 — but that moniker could be different in different markets. The Vibe C2 could see a wider rollout under the Moto E name, according to German site WinFuture. Of Motorola’s original three smartphone series before the Lenovo takeover, we’ve only seen new devices from one of them — the Moto G4, which replaced the Moto G with three variants. We haven’t heard much about the Moto X line or the Moto E. Instead of making a phone in one of those series, Motorola and Lenovo recently unveiled a new flagship lineup with two devices — the Moto Z and the Moto Z Force. Many believed the Moto Z would be a replacement to the previous Moto X flagship, but Motorola has expressly stated that is not the case — so expect to see a new Moto X in the future. The new Z series predominantly exists to showcase “Moto Mods” — modules that snap to the back of the phone to add new functions. Alas, take this information with a grain of salt, as we cannot confirm the accuracy of the leaks. It could just be that since Motorola is designing all of Lenovo’s phones, it may be attaching its model numbers for reference as well. A Motorola spokesperson told Digital Trends that the company does not comment on rumors. The leaked images show the Vibe C2 with a completely different look from the Vibe C — in fact it’s more similar to the new Moto Z with the same camera placement. There’s a speaker on the back below Lenovo’s branding, and you’ll find the power and volume rocker on the right side. The front shows capacitive buttons like on the Vibe C.
The Vibe C2 has a 5-inch display with 720p resolution. Powering the device is a MediaTek MT6734P processor, and you’ll only find 1GB of RAM and 16GB of internal storage. The rear camera will have 8 megapixels, and the selfie camera will be packed with 5 megapixels. The battery is surprisingly larger than expected at 2,750mAh. The specs are certainly low-tier, and the design resembles the new look of Motorola’s phones, but that doesn’t mean we should assume the Vibe C2 is the Moto E. While we are indeed expecting a Moto E in the foreseeable future, we’ll have to wait and see to find out if this rumor lines up. After a number of leaks and rumors, the Motorola Moto G7, Moto G7 Play, and Moto G7 Power are finally here. The devices represent quite a spec bump over the previous-generation Moto G6 phones, yet still come at a reasonable price.